"My name is R.Thumbai Malar Vendhan. 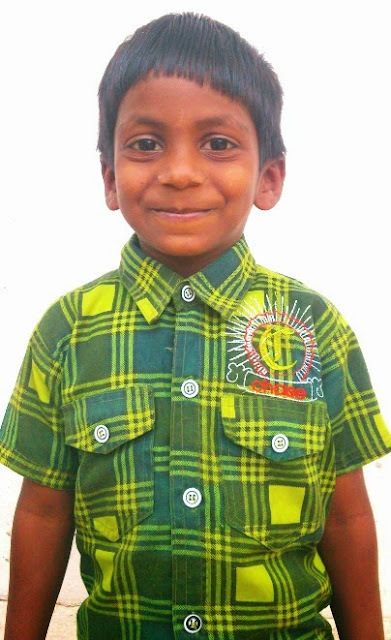 I am 5 years old and studying in 1st grade at Ambur. My parents are working as laborers in a leather factory. They often get sick because of the terrible work conditions, and are unable to care for me. Appa George came to know about my family and took me immediately to the New Hope Children's Home and placed me in school for a bright future. My ambition is to become a police officer. I am in need of a sponsor...."
CLICK HERE TO SPONSOR THUMBAI!